Get away from the city lights & enjoy stargazing from this open 48.375 acres in Coryell County, located 2 miles NE of Turnersville. 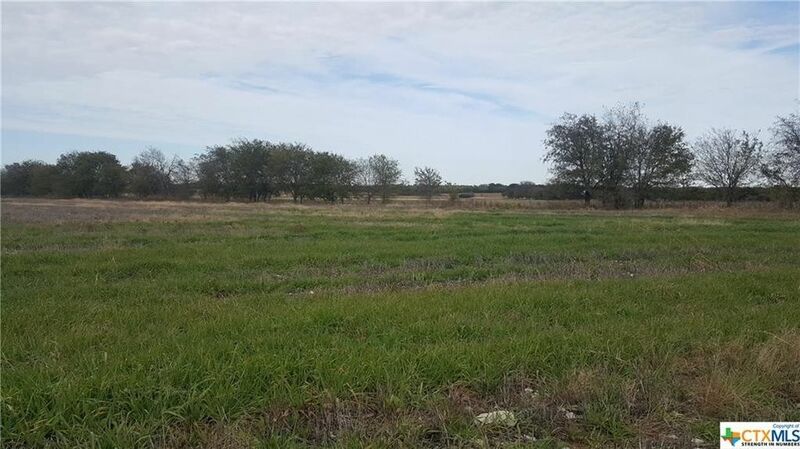 Just 17 miles from Gatesville & Valley Mills, and 15 miles from Clifton this tract offers FM 182 frontage and 2 (two) Coryell City Water Supply Meters and Hurst Branch runs across the NW corner of the property. Buyer should verify any other desired utilities. Currently leased for farmland use, would also make a great place to build, hunt or graze livestock. 3 of the 4 boundary lines are marked with trees from the old fence-line and there is another tree line about 2/3 of the way back. The corner with Hurst Branch borders a more heavily wooded area providing some coverage for various wildlife. The Paul & Jane Myer Observatory and Heron Hollow Vacation/Hunting Resort is not far offering unique recreational activities for the whole family. Directions: Please call first. Show anytime, weather permitting & using caution during hunting seasons.